Energy Minister Angus Taylor has written to his state counterparts to warn that lives could be at risk from unsafe or sub-standard solar panel installations, with a national audit report finding up to one-quarter of all rooftop units ­inspected posed a severe or high risk. The national audit of the ­Renewable Energy Target has ­revealed that between 21 and 26 per cent of small-scale rooftop solar installations inspected every year since 2011 had been found to have faulty wiring and unsecured ­panels. Some posed a “severe risk” where wiring was exposed. This required units to be shut down immediately and remediated. There are so many upstart sharks in the solar installation industry that the faulty panels they leave behind are known as “solar orphans”. 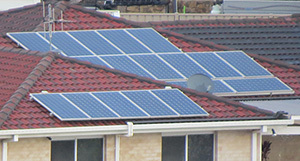 Rod Grono spends about half of his time repairing poorly installed and cheap solar panels in Sydney’s west. ‘‘Solar orphans’’, as the 50-year-old boss of Western Sydney Solar calls them, are installed quickly by companies that fold, change their name or simply don’t answer phones or complaints. I know a team who’ve been installing panels for ten years and they plan to get out because the margins are wafer thin, and they can’t compete with cut-price teams who won’t survive long enough to honor their warrantees. More fun coming in Australia. If the cat goes missing, check the roof (and turn the power off).